BestBuy is offering you this exclusive art deco version of the FujiFilm FinePix Z30. This eye catching camera features swirly like floral designs on the face of the camera in black. Despite all that, the rest of the specs remain exactly the same to the original version, you’ll find a 10MP image sensor, 3x optical zoom, 5.7x digital zoom, a 2.7-inch color LCD, a 50MB of internal memory, ISO up to 1600, face detection, antiblur image stabilization and the ability to record video in VGA quality at 30fps. The Fujifilm FinePix Z30 Black Swirl Design is currently on sale for $129.99. Alas, our dream of rocking parties with the projector-packing s1000pj will have to wait an extra month. Turns out that demand for the shooter was so high that even Nikon, whose sole purpose in life is making imaging equipment, couldn't satiate it in time. The new dates for your calendar are October 23 for the 12.1 megapixel, 5x optical zoom S1000pj, and September 19 for its S70 and S570 brethren. The S70 switches out the projector for a 3.5-inch OLED multitouch screen, and should prove quite the attractive proposition in its own right, but for now all we can do is look admiringly from afar. Sigh. 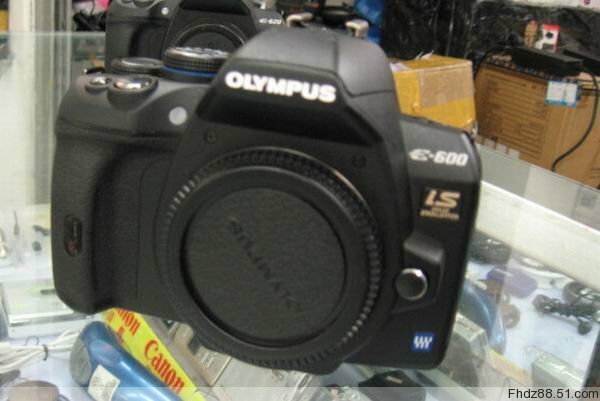 We had some pretty overwhelming evidence that Olympus' entry-level E-600 was more than just some fancy Photoshop, and sure enough, the outfit has today made things official for us. 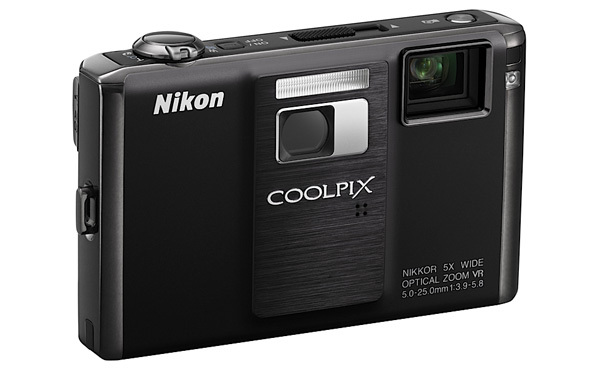 Designed as a low-cost E-620, the 12.3-megapixel shooter drops only the backlit buttons, a trio of 'art filter' modes, aspect mask control and the two-shot multi exposure mode from an otherwise heralded device. If you can live without those, you'll find a delectable $599.99 price tag that includes a 14-42mm f3.5/5.6 Zuiko zoom lens, a 2.7-inch swiveling Live View LCD, in-body image stabilization, a dust reduction system, sequential shooting at four frames per second and the ability to accept CF, UDMA and xD memory cards (sorry, SD lovers). It'll be available from respectable camera outlets this November -- just in time to satisfy that nagging need on the forthcoming holiday gift list. The specs for the upcoming Canon EOS 7D have been unveiled. This high-end DSLR will come with a 18MP APS-C CMOS sensor, a 3-inch LCD display (920,000 dot resolution, 160 degree viewing angle), DiG!C 4 imaging processors and an ISO range of 100 to 6400, which extends to 12800. a 1.0x optical viewfinder with intelligent display with electronic horizon line, and EOS Integrated Dust Removal system. There is no info on pricing so far. Stay tuned for more updates. Need another reason to pick up the FlashBox digital video recorder I wrote about yesterday? Well here it is. The Phantom v12.1 CMOS-based high-speed digital camera is capable of capturing a whopping 6,933 frames per second at a resolution of 1280 x 720. 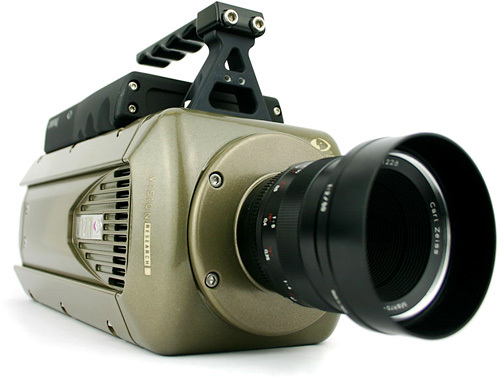 According to Ben Cain’s HD CINEMA blog, the Phantom high-speed cameras where originally developed by Vision Research with the military in mind, but have been adopted by the film and TV industries for high-speed photography with great success. Now shooting HD footage at almost 7,000 fps isn’t quite as easy as shooting with a consumer-level HD camera, but Ben has posted his recent experiences and successes with using the Phantom v12.1 on a high-speed shoot for Starz on his blog. Interesting tidbit, it’s apparently better to use massive 5K lights on a high-speed shoot instead of 2Ks because you can actually see the light cool slightly in-between the alternating current’s 60 cycles on the high-speed footage, causing flicker. 5K lights on the other hand burn hot enough that their intensity isn’t visibly reduced in-between cycles. Crazy! Samsung has a new one in the works, the WB5000, presumably offering the price advantages of an 24x zoomin' all-in-one with some of the features and image quality of a DSLR -- that's the dream, anyway. The camera shoots 12.5 megapixel stills, with full manual controls, face detection and support for RAW formatted images, while also offering HD recording and a relatively compact form factor. True details are scarce, but it sounds promising on the surface. The WB5000 should be out in the fourth quarter, no word on price just yet. If you have some time on your hands, there are some great applications that can be great to keep you sharp and on your toes. If you want to make good use of your time, then there are some excellent applications to help you do just that. 1. Weird Laws – If you want to keep up with or research some of the craziest laws out there, this application is for you. You can be the source of all trivia with this application and wow people with your knowledge. 2. Discovery Channel – If you are a follower of the Discovery Channel or simply want to keep up with some interesting trends or information, this can bring great insight. You can expect from this free iPhone application what you expect out of the TV station so the information is endless. 3. Mind Reader – Prepared to be “wowed” as this application reads your mind and spits back some interesting information at you. This may be a game but it definitely involves some ideas that are sure to keep you sharp. 4. Tap Word – Another game but one to keep you on your toes! Here you can use your iPhone to perform a word search and keep sharp even in the most dulling circumstances. This is one to keep with you for the anytime challenge. 5. Doodle Buddy – This is a great way to keep sharp because nothing shows your talents like art. You can express yourself artistically with this application and keep sharp as it allows you to have an excellent outlet. Sure to break up a boring day too! 6. NPR News – For the person who wants to stay on the go no matter where they go, this educational station can travel with you for free. Keep up with your love of NPR News or just get introduced to it with this application. 7. Crack the Code Free – This is an excellent way to keep your mind sharp because you have to really work at cracking the code. This is an excellent game of skill and knowledge and works with your skill so you are constantly on your toes. 8. Wikipedia Mobile – If you want to keep in touch with everything that you’ve ever wanted to know and be the bearer of all trivia and knowledge, keep this traveling online encyclopedia with you at all times. 9. Myths and Facts Free – Ever wanted to decipher between fact and fiction but never have the time? If you have time on your hands, this is a great application to use to keep up with what is true and what is totally false. 10. Chess Free – No game can test your knowledge better than chess, so this is a great game to keep with you. This application can teach you a thing or two about the game and keep you intrigued. Want to convert your favorite audio file or an mp3 as a iPhone ringtone? Here are some handy applications which enable you to create iPhone compatible ringtones from different audio formats MP3, WAV, WMA and MP4 etc., for free. iRinger: Free iphone Ringtone Maker Software. It allows any iPhone user to customize their iphone ringtones. It’s a handy ringtone maker solution that does not require any ” jailbreak” for your iphone. You can customize the ringtones with a variety of features supported by iRinger. It runs on all the versions of Microsoft Windows including Windows Vista. It requires iphone firmware 1.1.2 or newer, iTunes software 7.5 or newer, also works with the new iphone 3G. With employees spread across five continents, effective mobile communications are essential for Illumina, a San Diego, CA-based biotechnology company that designs breakthrough tools for genetic analysis. Using iPhone, sales reps can track customers, executives can manage employees, and everyone can stay in touch. And soon Illumina will make it possible for consumers to carry their personal genomes with them on iPhone. iPhone was an obvious technology choice, says Jay Flatley, Illumina's President and CEO. "First and foremost, it's a great phone. But what our employees need goes well beyond that. They need a computer in their hands that can do calculations and data searches, and can manage sales using SalesForce Mobile. Because of the flexibility of the interface, iPhone was the ideal tool for us." With iPhone apps like Workday HR management software and Cisco WebEx Meeting Center, Illumina executives can do everything from tracking payroll to participating in meetings wherever they are. "iPhone has improved the overall productivity of people at Illumina," says Scott Kahn, Illumina's Chief Information Officer. "It's rare that you deploy a tool and don't get any negative feedback. But with iPhone, the first response is usually 'Thank you.'" New York artist Adam Sacks brings us his twisted and hilarious new commercial parody based on Apple's current iPhone campaign. With over 50,000 apps who knows what we're going to see next? 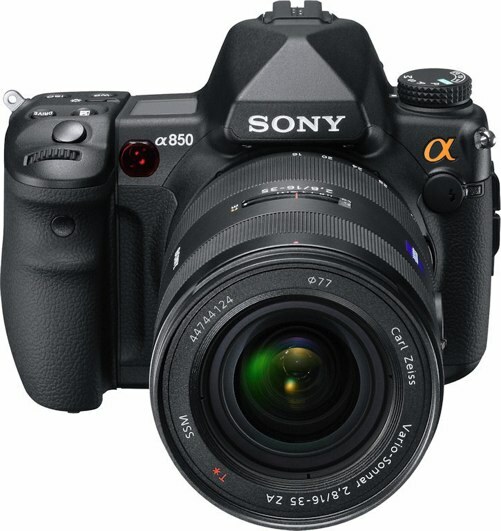 Sony's really hitting two sweet spots this morning with its new (or, newly confirmed) full-frame A850 (pictured) and mid-range A550 and A500 DSLR additions to the Alpha family. The rumors were basically dead on, with the A850 offering a slight reduction to the A900's skillset while keeping on the exact same 24.6 megapixel sensor -- and nabbing a $1,000 or so price cut in the process (it's now landing at around $2,000). 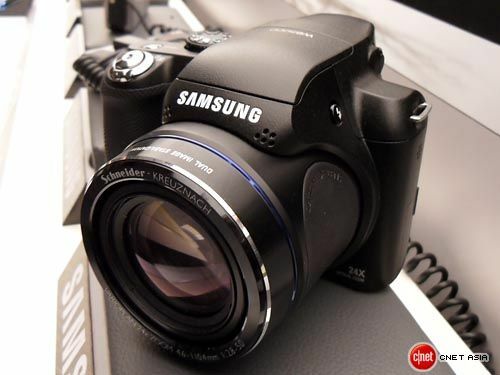 The A550 and A500, meanwhile, fill in any perceived gaps in the Alpha line with 14.2 and 12.3 megapixel sensors, respectively. They also both score tilt-out LCDs akin to the poorly-received A380, with the A550 sporting a much higher resolution screen than its sibling. Still, even with the other minor tweaks present, we're not sure how reasonable the $200 price difference between the two cameras is: the A550 goes for $950 ($1050 with a kit lens), while the A500 hits at $750 ($850 with a kit). The glaring omission in all of these cameras, of course, is video recording -- something that Sony's various competition is sporting in a majority of these pricepoints. A head scratcher, to be sure. This one is being greeted with a fair bit of skepticism on the forums given its seemingly odd placement in Olympus' lineup but, if the pictures are to be believed, it looks like the company could be set to release a new E-600 Micro classic Four Thirds camera -- and soon, considering it's already in a camera shop. 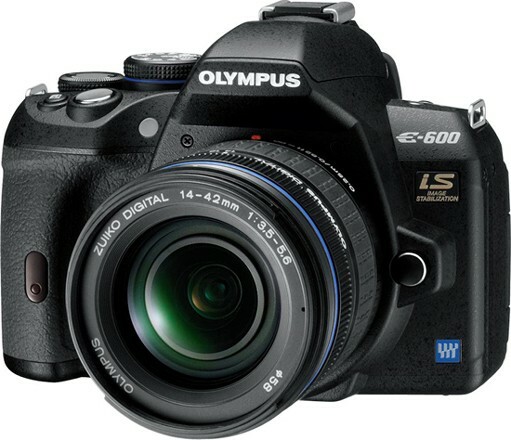 As you can see above, however, the camera looks a fair bit like Olympus' existing entry-level E-620 DSLR, and there's unfortunately no specs to speak of, although the E-600 model name did apparently crop up in another rumor a few weeks back. Is it the real thing? Hit up the link below for a closer look to judge for yourself. 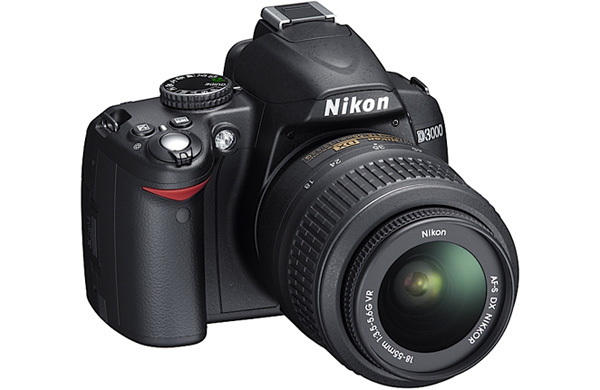 The best thing to be said about the Nikon D3000 is that it's simple. It's a camera that knows who it's aimed at -- first time or amateur DSLR users -- and makes direct provisions for that audience by automating as much as possible. Simple to understand, simple to use. Having undergone a grueling review session, it can now boast about its Photography Blog-approved image quality, solid body construction and actually useful extras like 3D subject tracking, 11-point AF, built-in lens sensor cleaning, and an accelerometer that rotates menu items when you turn the camera for a portrait shot. The lack of live view or video recording might prove a stumbling block for some, but the reviewers found this shooter compelling enough to give it their 'Highly Recommended' badge of honor. The leading model of Sony's 'upper entry level' trifecta of Alpha-branded shooters, the 14.2 megapixel DSLR-A380, has been hitting test benches lately and we've rounded up the results for your perusal. The consensus appears to be that Sony has focused on bringing fans of compact cams up to the big time, with its uniquely responsive Live View and straightforward usability. Alas, ease of use is not the only thing brought up from the little leagues, with comparatively poor output at ISO 400 and above, lack of any video recording (which can be found on the Canon EOS 500D and Nikon D5000, its nearest competitors) and unsatisfying viewfinder ergonomics. Conclusion? If you were looking for a point-and-shoot on steroids, your search is at an end, young hobbit -- but photography enthusiasts should probably look elsewhere. 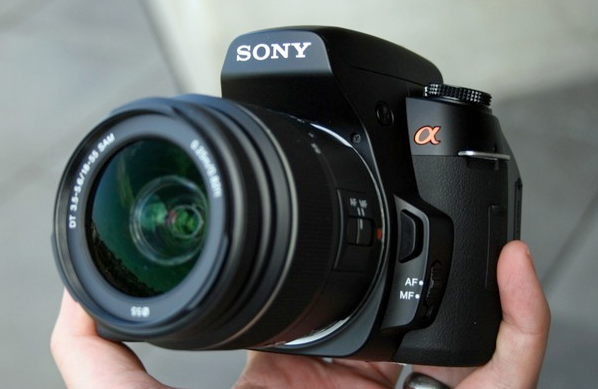 Sony's announcement of the three Alpha line cameras just came today -- but we're already seeing plenty of them. Pocket Lint's got a fairly extensive hands-on with the Alpha 500, which boasts an Exmor CMOS 12.3-megapixel sensor, an ISO range of up to 12,800, with a four frames per second continuous shooting. It also packs an HDR shooting mode, and an HDMI output. The Alpha 500 will be out in October, and it will run you $750. There's one more shot after the break -- hit the read link for the full set. 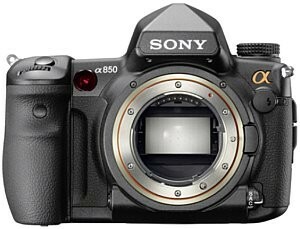 More Sony Alpha 500, 850 info leaked? We've already seen plenty of leaked info on Sony's upcoming Alpha DSLR -- the 850 (including what is presumably its user manual). Well, now the German site DigitalKamera's got some more info on it, as well as the a500. First up, the a850 will boast a 24.6 megapixel sensor, a 35mm CMOS sensor, an ISO range of 100 to 6400, and will be capable of shooting 3 frames per second, with a 3-inch, VGA display. The a500 -- about which a lot less info has been previously leaked -- will have a 12.3-megapixel sensor, an up 12800 ISO, with two live view modes (quick autofocus and direct view). There is still absolutely no official word on either of these bad boys, though we're hearing September -- so maybe we'll catch a glimpse of them at IFA -- we'll keep our eyes peeled until then. There's a shot of the a500 after the break. Exemode will release the Yashica DV-535HD low-priced camcorder on September 11th, 2009 in Japan for just 25,000 Yen ($263). The video recorder can record 1080p 30fps HD video and features a 5x optical zoom, a 5MP CMOS sensor, and a 3-inch touch-sensitive LCD screen. Measuring 53mm x 65mm x 114mm and weighing about 288grams, the Yashica DV-535HD also sports SDHC memory cards (up to 32GB) and has an HDMI Type-C connector. The leading model of Sony's 'upper entry level' trifecta of Alpha-branded shooters, the 14.2 megapixel DSLR-A380, has been hitting test benches lately and we've rounded up the results for your perusal. The consensus appears to be that Sony has focused on bringing fans of compact cams up to the big time, with its uniquely responsive Live View and straightforward usability. Alas, ease of use is not the only thing brought up from the little leagues, with comparatively poor output at ISO 400 and above, lack of any video recording (as with the Canon EOS 500D and Nikon D5000, its nearest competitors) and unsatisfying viewfinder ergonomics. Conclusion? If you were looking for a point-and-shoot on steroids, your search is at an end, young hobbit -- but photography enthusiasts should probably look elsewhere. Sanyo's range of Xacti camcorders may be as wide as the Sargasso Sea, but nowadays even its entry-level shooters pimp some pretty advanced features. The CG11 is a case in point, coming with a 10 megapixel CMOS sensor capable of 720p recording, integrated EyeFi and mini-HDMI connectivity options, and the usual gunslinger aesthetic. Storage of the H.264-encoded MPEG-4 output is handled by SDHC media, and there's also 5x optical zoom, anti-shake and a stereo mic for getting things just right. Folks in Japan, whether they be beginners, pros, women or men (no matter what the mangled machine translation tells us), will be able to buy one from September 11 for ¥30,000 ($318). Fujifilm is gearing up to launch the FinePix S200EXR for the Japanese market starting on September 5. 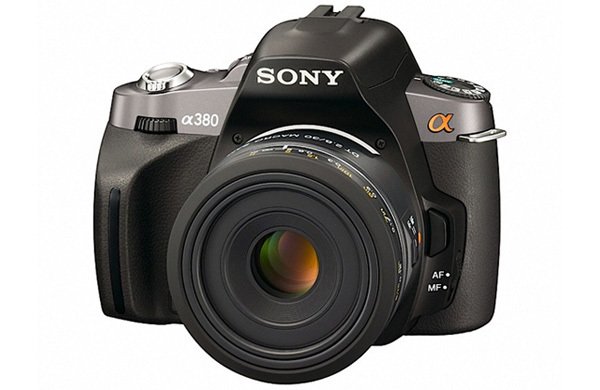 Touted as the successor to the award winning FinePix S100FS, the S200EXR is a new super-zoom digital camera with a 14.3x (30.5-436mm) manual zoom lens, a 12MP Super CCD EXR sensor, a 2.7-inch high contrast LCD with 160-degree horizontal and vertical viewing angles, Super Intelligent Flash, an improved battery life - almost a 50% increase on the FinePix S100FS and the capability to record video in VGA quality (640 x 480) at 30fps. The FinePix S200EXR will be sold for around 60,000 Yen (about $632). Facebook has Submitted its 3.0 version of Facebook for iPhone application to app store. The new Facebook 3.0 is expected to be released by next week. The new version 3.0 has lots of new features. Here are some of the amazing feature of Facebook 3.0 iPhone application. One of the iPhone’s most revolutionary features is its large library of instantly accessible free games. The question is whether any are worth your time. To find out, I thought I’d put the App Store to the test by downloading the top 10 free titles from the “All Games“ category (based on number of recent downloads as of July 17, 2009), and playing each one for as long as it held my attention. The only caveat was a 15-minute time limit for each game. If a free game holds your attention for at least 15 minutes, that’s good. I had a love/hate relationship with my old tabletop Labyrinth game as a kid. I loved the concept, but I hated how much I sucked at manipulating those little knobs to guide the ball past the holes. The iPhone version, with its simple tilt controls, makes things more enjoyable. I’m surprised how accurate and realistic the physics are, and I love the way the 3-D perspective shifts as you tilt the unit, making the screen feel like a window into an alternate world. The randomly generated levels in this “lite” version are hit-or-miss, but the variable difficulty ensures lot of replay value. Apple has officially answered FCC questions about why Google Voice was rejected to appear in App Store. For those who didn’t keep track of the news, Apple rejected the Google Voice application for iPhone and removed all related third-party application from App Store. The rejection has drawn great attention & criticism around the net and even Federal regulators wanted to know why Apple rejected Google’s innovative Voice app from its App Store. This is not the very first time Apple rejected iPhone applications submitted for App Store. Developers, bloggers and journalists around the net have criticized Apple for rejecting applications especially for those innovative applications trying to add feature and even replace iPhone’s default application like Phone or Mail applications. The answer is not very convincing. Canon USA has released their new VIXIA HF S11 Dual Flash Memory camcorder that features a Genuine Canon HD Video Lens, Canon designed and manufactured 8.59-megapixel Full HD CMOS Image Sensor and Canon DIGIC DV III Image Processor, all of which allow the video recorder to produce breathtaking video and stunning 8.0MP photos. It also features Genuine Canon Face Detection, Instant AutoFocus, and the ability to record in 24p Cinema Mode or 30p Progressive Mode. Canon also released a new camcorder accessory, the RA-V1 Remote Control Adapter for professional-level functionality when shooting from a tripod. The Canon Vixia HF S11 will be launched later next month for $1,500, meanwhile the RA-V1 Remote Control Adapter is priced at $120. The dudes and dudettes at Photography Blog are nothing if not thorough, and their latest review is no exception. 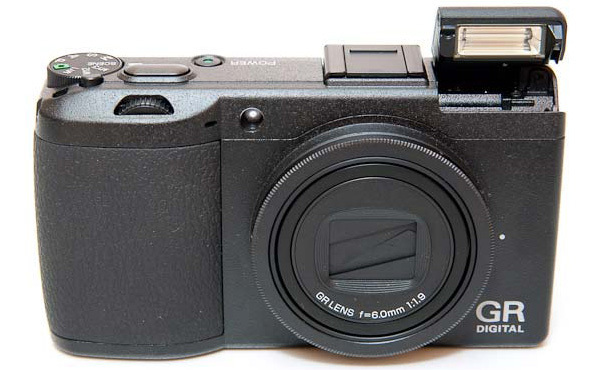 The GR Digital III and its peculiar 28mm wide-angle fixed focal length lens (i.e. no optical zoom) have been subjected to an inspection and the verdict is an exuberant thumbs up. The aluminum alloy body impressed them right from the off, and the reviewers also liked the customizable menus, improved shutter speed, Dynamic Range double shot, and Adobe DNG RAW output. Those were all mere cherries, however, to the cake of 'excellent' image quality and 'stand-out' Macro performance. The sole blemishes found were the price (£529 / $699) and noise issues beyond ISO 800, but then the latter is a well known weakness of compact cameras. Check out the read link for sample images and the (very) full review.